You’ve probably heard how An Taoiseach Enda Kenny is due to travel to Washington DC for St Patrick’s Day, to meet President Donald Trump. Some say he shouldn’t go at all, because of the new President’s policies. Some say he should use the opportunity to tackle Trump on various issues. Others say he should just stick to the usual protocol for these visits, for the sake of Irish-American relations. But we’re not going to get into a political debate here! Instead, we’ll just focus on tips for a trip to Washington DC itself, in case you ever find yourself planning or considering one. It’s unlikely that a meeting with Donald Trump will be on your agenda, but Washington DC remains a great place to visit, particularly if you have an interest in American history and culture. Forget about taking a tour of the White House. Doing so is next to impossible unless you’re an American citizen who has applied for a tour through your Congressman or Senator. If you’re really determined, you can apply through the Irish Embassy in Washington, but note you must do so several months in advance, and there are absolutely no guarantees your application will be successful. Visit the Capitol Buildings instead. The spectacular building atop Capitol Hill is the seat of the US Congress, and public tours take place regularly each day. There are 540 rooms, winding halls and tunnels, and even an underground train! Take a stroll along the National Mall. This is the long rectangular park you’ll recognise from movies and TV, with the Lincoln Memorial at one end, the Washington Monument at the other, and countless museums and other memorials and institutions along each side. Take a leisurely stroll first to identify the ones you want to return to. Don’t try to do ‘all’ the Smithsonian Museum! It’s not just one building. Instead, there are several throughout the centre of the city. Choose the ones that interest you most. The most popular include The Museum of American History, The Natural History Museum, and The National Air and Space Museum. And remember that admission to them all is free! Pause for reflection by the Vietnam War Memorial. This is at the west end of the National Mall, and is as sombre a memorial as you’ll ever experience. The names of more than 58,000 US soldiers who perished in the war are engraved in a dark, low wall. You’ll often see relatives of the deceased reaching out to touch the names of the one their family lost during the war. Check out the International Spy Museum! Particularly if you have children or teenagers with you. It’s full of films, interactive displays, and fascinating exhibits, some of which are centuries old. More practical matters – wear comfortable shoes! You’ll do a lot of walking in Washington DC. Monuments and museums are further apart than they’ll look on your map, and once you’re in a museum, you realise just how vast they are. So be nice to your feet during your stay! Buy a Smart Trip card for public transport. You won’t be walking everywhere, and the transport system in Washington DC is one of the best in America. A Smart Trip card allows you take all the buses and metros you want during your stay, for little more than $5 per day. Head to U Street for nightlife. It’s a great alternative to Georgetown, which can be full of noisy frat boys from local universities. U Street in its heyday was the base for performers like Duke Ellington, Miles Davis, Ella Fitzgerald, and Louis Armstrong, and in recent years, it has undergone a revival and is now safer and more attractive than ever, still boasting great music each night at several venues. Carry travel insurance for your trip. 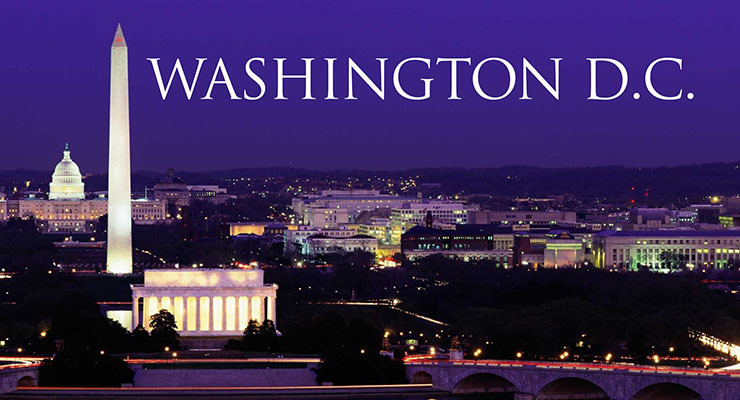 If you’re planning a trip to Washington DC, just as anywhere else, things can go wrong either before or during your stay, but a travel insurance policy from Insuremyholiday.ie will protect you against any unfortunate events. Get a quote now to see how cheap that great cover can be! We provide single trip travel insurance, annual multi-trip travel insurance, family travel insurance, and indeed, travel insurance for all types of holiday-makers of all ages, all at great rates and with some of the best benefits of any insurance provider in Ireland. Just get a quote now to make sure you can enjoy your holiday without worrying about what will happen if something goes wrong.